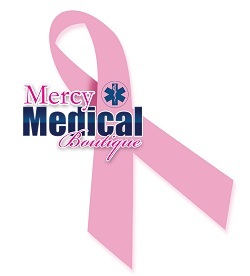 Your privacy is important to [Mercy Medical Supply/Boutique]. This privacy statement provides information about the personal information that [Mercy Medical] collects, and the ways in which [Mercy Medical] uses that personal information. Where [Mercy Medical] discloses your personal information to its agents or sub-contractors for these purposes, the agent or sub-contractor in question will be obligated to use that personal information in accordance with the terms of this privacy statement. [Mercy Medical] will take reasonable technical and organisational precautions to prevent the loss, misuse or alteration of your personal information. [Mercy Medical] will store all the personal information you provide on its secure servers. [Mercy Medical ] is not responsible for the privacy policies or practices of any third party.